The love of your life popped the question and you said “yes.” Now, where should you host your wedding ceremony? One of the most critical decisions you have to make in preparation for your wedding is the location. If considering a traditional or destination wedding, cost is probably the top deciding factor. Here are some things you should know about wedding planning and the average cost of a destination wedding versus a traditional wedding today. Most traditional weddings take place either where the bride and groom have settled or in one of their hometowns. The ceremony and reception could be at the bride or groom’s house or any other venue nearby. Many assume this is the most affordable way to get married because it does not involve international travel, but that’s rarely the case. Unless you have been saving for your wedding as long as you have been dreaming of it, you need a budget and the most affordable option. Research from Business Insider shows the average cost of a wedding in the USA is $33,391. The cost could increase depending on what part of the US you’re marrying and the kind of wedding venue you choose. For instance, certain parts of New York rack up wedding costs of over $75,000. Wedding décor, flowers, decorator, etc. A destination wedding takes place in a location outside the bride and groom’s hometown vicinity. This type of wedding opens a world of choice for where they want to exchange vows. It all depends on the couple’s preferences and, of course, budget. 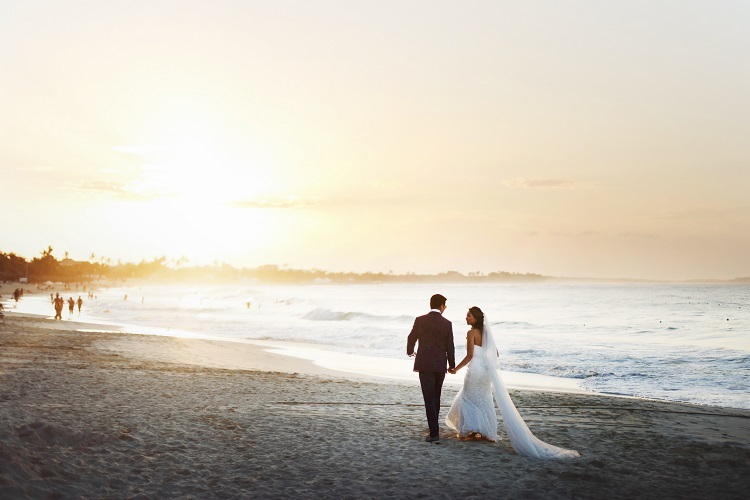 Legal marriage requirements can sometimes play a part in it, too, but most couples opt for symbolic destination weddings so they avoid any legal restrictions. The exact location of your destination wedding plays a huge part in how much you should plan to spend. Many couples opt for all-inclusive resort wedding venues, mainly because they are a great bang for your bunk and provide everything needed to have a stress-free celebration. Over the course of the past decade, we’ve seen the average cost of a destination wedding remain much lower than the average cost of a domestic wedding. In 2017, the average cost of a destination wedding was $7,804*, inclusive of airfare, accommodations (average of 6-7 nights) and the wedding package itself. Of course, depending on your style and budget, this cost could fluctuate dramatically. Still, destination weddings have proven to be a cheaper option than the average US-based celebration, which cost couples nearly $35,000 in 2017 according to The Knot Real Weddings Study. Keep in mind, when tying the knot at an all-inclusive resort venue, your cost includes all meals, drinks and on-site entertainment/activities, as well as key components to the wedding itself, including ceremony and reception decor, flowers, music, and sometimes even photography! The average length of stay for guests attending an international destination wedding is 4 nights. For all-inclusive resort guests, this cost includes components beyond just airfare and accommodations; things such as food and drink, on-site entertainment and ground transportation are also included in the upfront cost. With so many all-inclusive wedding resorts and packages to choose from, it’s important to have an expert Certified Destination Wedding Specialist helping you choose the best option for your budget. *This data represents Destination Weddings Travel Group customers and is inclusive of the couples spend only. **This data represents Destination Weddings Travel Group customers and is inclusive of airfare and all-inclusive resort stay. 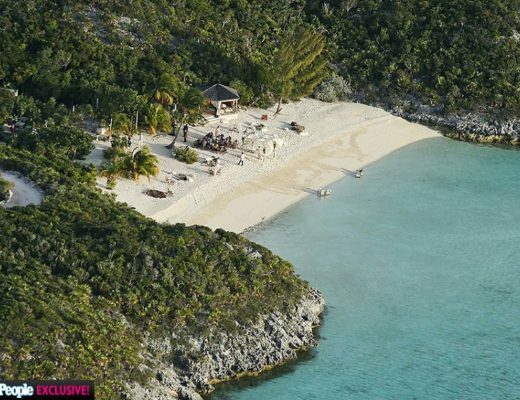 There are numerous options to choose from when it comes to destination wedding locations. Some ultra romantic options include tropical beach weddings in Mexico or Hawaii, Caribbean Island weddings, cruise weddings, mountaintop weddings, bayside weddings, lakeside weddings, and exotic European castle weddings. Destination weddings at an all-inclusive resort give both couples and guests the best deal alike. Meals and beverages come included with the upfront price, as well as many wedding planning resources to lighten the load for the couple, including an onsite wedding planner. And, many resorts have a variety of venues onsite; whether you wish to exchange vows on the beach, in a garden, or atop a beautiful sky terrace with panoramic views of the sea. 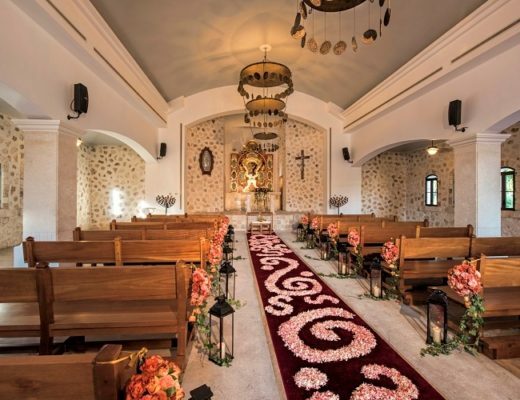 If having a religious destination wedding is important to you, check out these all-inclusive resorts with onsite wedding chapels. The time of year you wish to get married will also have a role in where to tie the knot. It’s important to take into account peak season price spikes as well as hurricane season should you be looking for a tropical atmosphere. A destination wedding is an investment for both the couples and guests. Since the celebration lasts longer than just one day, it’s important to aim to save wherever you can. Below are the top cost-saving tips for destination wedding planning (and you can find even more here!). Plan and notify well in advance. Give yourself time to save and plan for incidentals. That way you can enjoy being newly married instead of working hard to bounce back. Potential attendees also deserve a heads up with some form of a save-the-date. Remember, they will be coming out of pocket too. Look for deals and all-inclusive plans. Most international all-inclusive resorts have affordable destination wedding packages that are customizable to your exact vision. Many of them also have special group rates that could save your guests money too. Work with your destination wedding specialist to put together your perfect package. Consider the current season of the year. Of course you want nice weather, but a wedding at the height of travel season is pricey. Climates vary across the globe based on the season, but some tropical areas are warm and comfortable year round. Setting the date outside of tourist season could save a few bucks. Take advantage of reward points to shave off extra travel costs. What better time to use those credit card and airline points than to chip in on wedding guests’ travel costs—or even your own? If your heart is set on saying “I do” to a destination wedding, you can have all you desire and stay within your budget. Now, you have the facts on the average cost of a wedding, domestic and abroad, so the planning process can be as lovely as the big day!